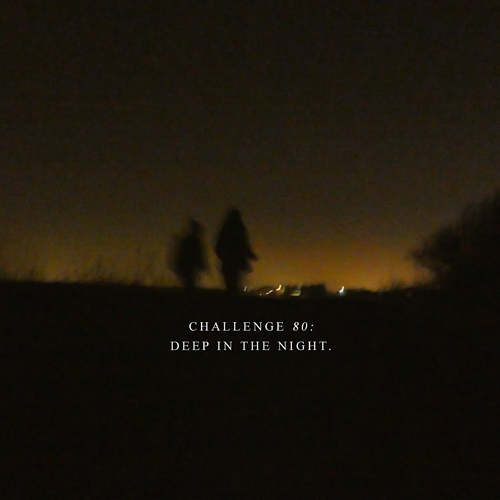 Welcome to my challenge Deep in The Night. I absolutely love night time photography so I took some shots with my camera the other night and, I was amazed by how breathtaking the night is. The tonality and the colours scheme is very captivating, so, the night inspired me with an idea for a challenge. Basically, I want you guys to create your best in the night scene in any fandom. I am going to create options that each option will dedicate aspects of the theme night. For example, the first option is going to be about the colour that surrounds the night which creates the night, the emotion and the characteristic of the night. Option two is going to be about the stock imagery that collides with the night. For example street lights, stars, galaxies, moon and black silhouettes of structures etc... Basically, everything that surrounds the night. Options 3: Your favourite night scene. And finally, the last options concludes your best representation of the night by creating your best scene that happens in the night. I would be so thrilled if you could actually do all three options separately to dedicate an option so that would make three pieces but, you don't have to. You could just choose one. And also I'm doing awards and feedback for this challenge. Sizes: Anything! even set of icons and banners. Last edited by buffylover; Yesterday at 05:42 PM. I will try to participate; no guarantees that I will actually manage it though. And if I do, it's very likely that I will disappoint you by not managing to do more than one piece. Sorry!!! But I won't be combining multiple options in one piece, if that's what you prefer. Option 1: Time is up. Albus Dumbledore is a giant, smarter and stronger than any other person in the HP books. He flirted with immortality even. But death comes for everybody, also for the great. It's not really a scene, but it's about book 6. He knows he is going to die that year. 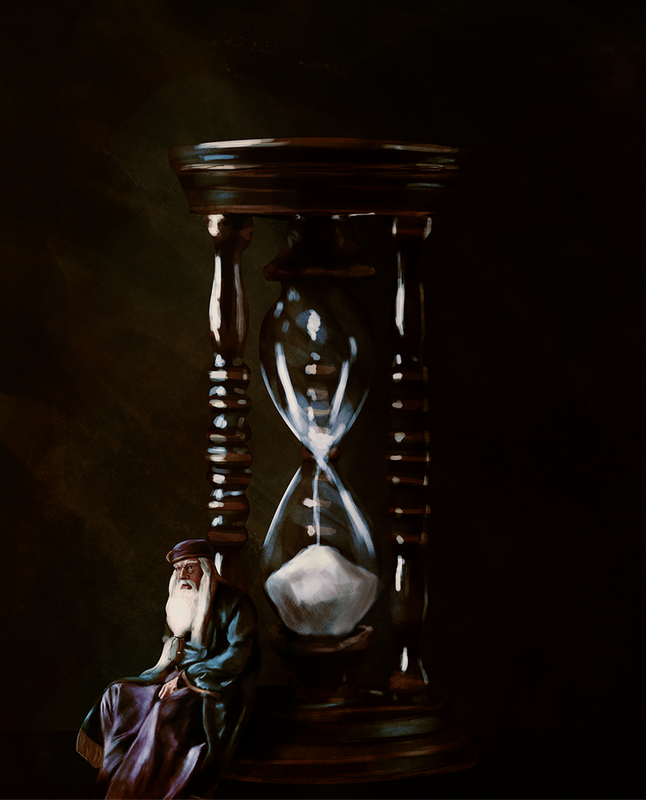 And while he sounds like he has peace with it, Dumbledore is also a man who dedicated many hours of his life to objects that make a human a bit less mortal. He might have had moments of weakness that year, cursing (and fearing?) his fate. It's obviously a digital painting. I made it in only a few hours. Hence the messy look and the lack of details. So maybe I should've kept it to myself as a study, but this section could use some extra art. Even if it's not all that. References are from Snitch Seeker & 123rf. Other resources are from Daydreaming, Krakograff & Aaron Griffin Art. Just a quick note to say that I've spent the last few days trying to pull screencaps together for the piece I have in mind but I've had a child at home sick and so playing the eps and taking screencaps is really tough. Great for reading stories but not for watching episodes. And now it's the Easter holidays. I'm still hopeful that I'll meet the deadline as I've just done a handful of eps in the small hours today, but I've got a few more to skim through before I can start picking which shots I want. I'm sorry it is looking likely I'll only produce the one piece as I really had hoped that I would manage at least two for this challenge but was thwarted on what I can be doing with a small one who pretty much has spent most of a week wanting to sit on me! Anyway, I thought I'd give a heads up that I might have troubles, at least explain why it'll be a single entry, but also thought that by doing this it would bump the thread and possibly get noticed by others too. Option 1: The best of Starfleet. I used the colours you picked, not sure if it really captures the night though. The yellow was so very pretty, I couldn't swap it for something darker. Disqualify it if it's not night-y enough. The wallpaper was a bit of a nightmare anyway, I lack the inspiration to make it something special. Star Trek started nearly 60 years ago with a pilot that wasn't picked up. In that pilot we saw the famous U.S.S. Enterprise and Chris Pike was it's captain. When they tried again, the actor who played Pike didn't want to return and they made up a new captain: James T. Kirk. 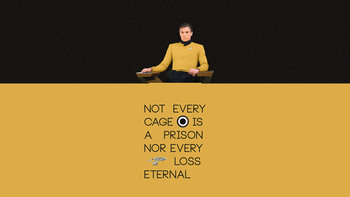 The rest is history, Kirk is still the Starfleet captain for many viewers and fans. While the character Pike was reduced to an occasional name drop. We've only seen him once in the original series. In a 2-parter we learn that admiral Pike saved a few starfleet cadets from radiation but he was exposed himself. It maimed him so badly he ended up in a wheelchair and he could only communicate through a bleeping light (one bleep is yes, two bleeps mean no). A tragic ending for one of the finest captains, but most viewers were not that involved since they never saw the character before. Which stayed that way for 60 years. But in the current Star Trek series (ST Discovery) we get to meet him in all his glory. For one season the captain of the U.S.S. Enterprise gets the captain chair of the Discovery. The season isn't over yet and fans are already declaring him one of the finest Star Trek captains ever, if he isn't the best. And where his fate was once no big deal for the fandom, it's a major issue now. This season Pike also learns about his future and gets the chance to walk away from it, but he doesn't for the sake of Starfleet. He truly is Starfleet's best. Anyway... his jacket looked great with the yellow you selected. I'm working on something too (to be decided for which option :-) but I'm not sure I'm going to meet the deadline. I could always extend the challenge if you wish. To tell the truth I personally just want to move on. This was just a complete disaster. I was trying to promote it on Tumblr that was just a fail. I just want to say thank you NINA for taking your time to create two! I think it's an interesting challenge and the piece I'm trying to complete I was inspired as a response straight away. I'd just totally underestimated how long it would take me to gather together the screencap options I wanted to consider (I've taken multiple caps from scenes in eighteen episodes that I now need to go through and pick from to get it down to just about 6-8 ish from a total of, honestly, over 100 that I've taken!!). But both my children being ill and being at home alongside the Easter holidays generally has just totally taken away the free time I normally get to use for fanarting. I was actually hoping to get a couple of pieces done and have failed to even meet the deadline with one. Please don't see it as reflective of the challenge, it really isn't for me, it has just clashed with other pressures that have had to get priority for me this time. I've no intention of not completing the one I've started, not after all the hours of capping I've been doing! So I'll post it when I've finished, even if you choose to close the challenge. So, this happened. All night I'd been working on a fairly complex night scene for option 3 that I had started earlier this week, combining multiple screencaps and some photos of my own. And then, when it was finished I wasn't happy with it. So I decided to throw out almost all of the elements, except for the main ones I had started out with, and to go for option 1 (colour) instead. Here's the result, which is pretty plain and simple, but I like it a lot more than what I had before. 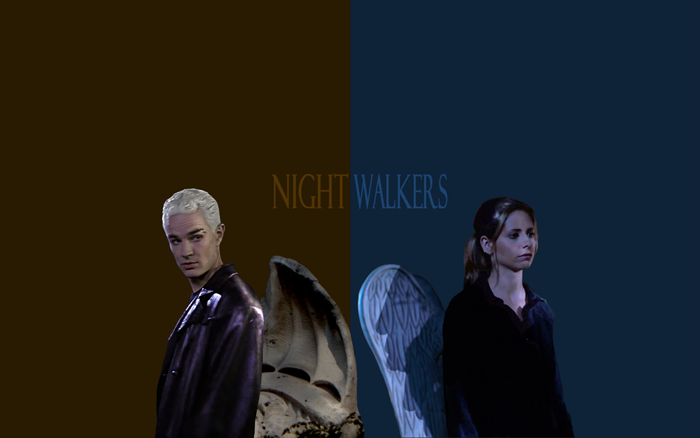 Credit: screencaps from the HD episodes (hdbuffy.tumblr.com) and one photo by me (taken at Père Lachaise). Full wallpaper version (1280x800) HERE. ETA: I have taken advantage of the deadline extension to replace it with a slightly improved version; hope that's OK! Last edited by Double Dutchess; Yesterday at 11:53 PM. Should I leave this open for another week, but then again I don't want this challenge to get in the way of more important things. There is nothing on the agenda right now, so I would suggest to leave it open for another week or 2 if you don't mind that. Yes, I'll do that. I will be closing this challenge two weeks time on the 4th of May.